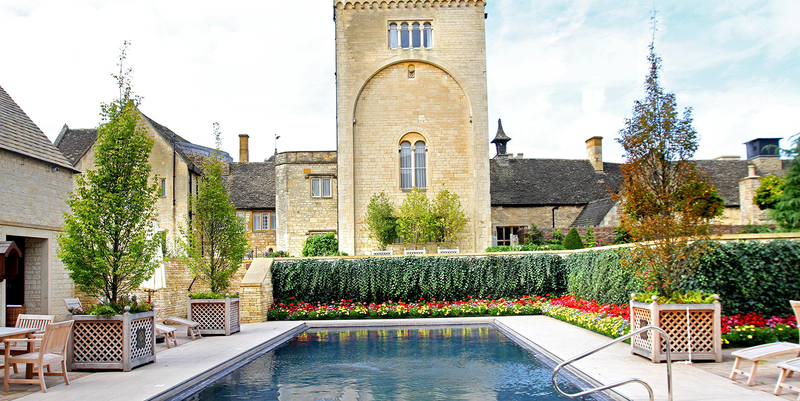 Ellenborough Park is a 15th Century Cotswold manor set in 90 acres of countryside with an AA rosette restaurant. The spa offers a thermal suite with Jacuzzi, steam room, sauna and curved ‘sensation showers’, as well as ishga and ila treatments. The relaxation room has a day bed, characterful weathered mirrors and a bar serving iced water. There is also a relaxing treatment zone with magazines and teas. You need to leave the spa to enjoy the 15-metre heated outdoor pool with its pretty terrace. At the hotel, 3 AA Rosette restaurant, The Beaufort Dining Room, offers three course dining or Sunday lunches. There is also The Brasserie for casual dining options and lunches. You can also opt for an afternoon tea. Boutique collection of 61 rooms and suites available in the hotel. One fitness suite open 7 days a week.